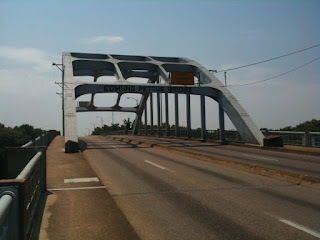 After visiting Birmingham we turned south and headed for Selma. It was a lovely drive on local highways through Alabama farmland. We got to Selma around 7:00 pm and while looking for our hotel we stumbled across one of the coolest and creepiest cemeteries I'd ever seen: The Old Live Oak Cemetery. The cemetery, one of the few Southern cemeteries on the National Register of Historic places, is full of huge live oaks draped in Spanish Moss. In the twilight it looked like the trees were draped with cobwebs. As the gloaming came we all got pretty creeped out. We haven't loaded the pictures yet, but I'm sure we got some good shots. 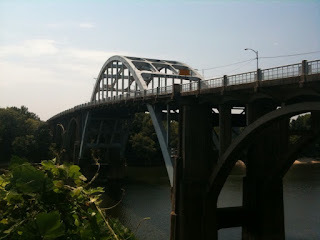 In the morning, after having enjoyed a evening in the hotel watching the first episodes of Shark Week on Discovery Channel, we checked out to start a day following the Selma to Montgomery National Historic Trail. 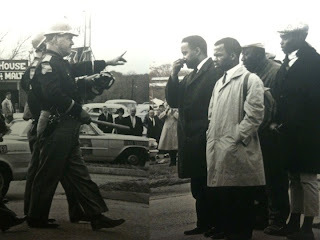 The origins of the Selma to Montgomery march start in the years between 1961 and 1964 when the Student Nonviolent Coordinating Committee (SNCC) had been intensively engaged in voting registration efforts in Selma, the seat of Dallas County, Alabama. SNCC was running into fierce resistance. To energize their efforts SNCC made an appeal to King's SCLC in 1964. 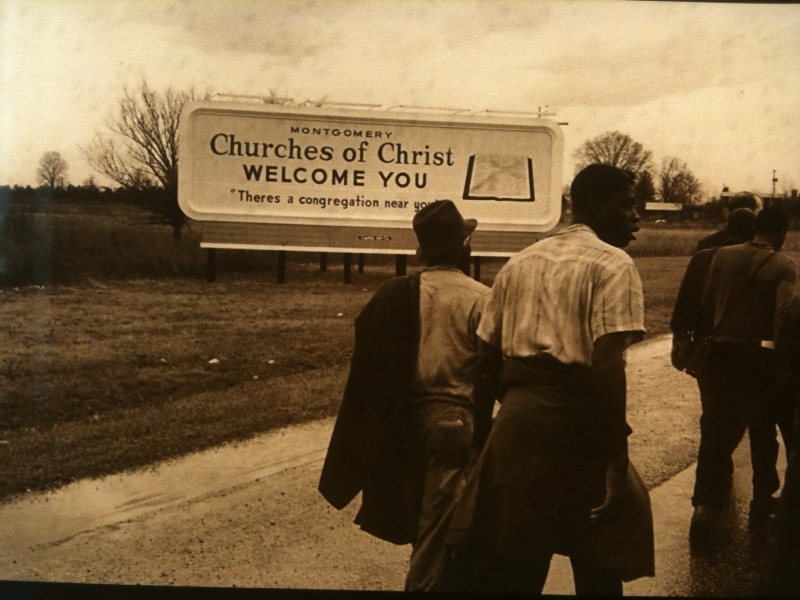 On February 18, 1965 the voting rights activists lead a peaceful night march in nearby Marion. The marchers were met by police. Suddenly, the street lights went out. Just why no one really knows. In the darkness the police got skittish and began beating the protesters. 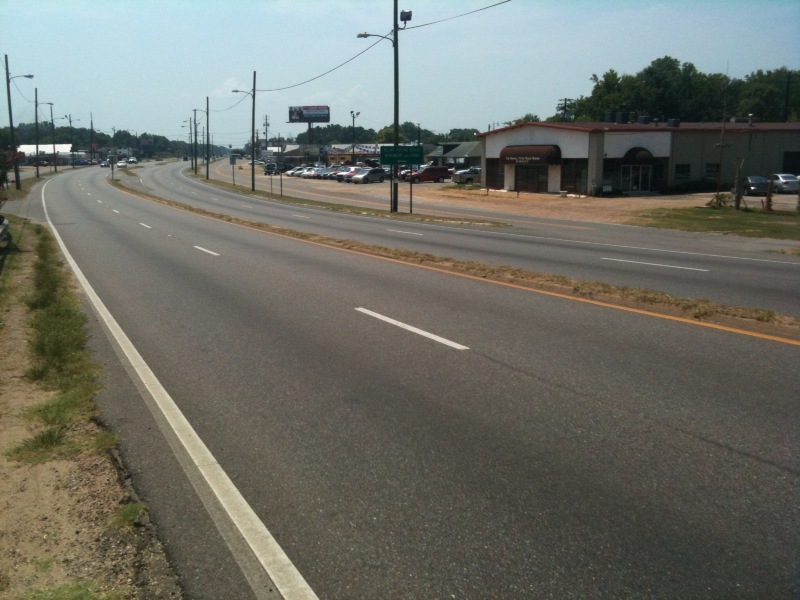 Twenty-six-year-old Jimmie Lee Jackson ran way from the melee with his mother and grandmother. They were pursued by some Alabama State troopers. In a cafe where they sought refuge, the police caught Jackson's 82 year old grandmother and knocked her to the floor. Seeing this, Jackson jumped in front of his mother to protect her. Jackson was then shot twice in the gut by one of the troopers. He died eight days later. The activist community was outraged. Some suggested that they should walk Jackson's coffin all the way to Montgomery and lay it on the capital steps. Cooler heads prevailed, but the idea of a march on Montgomery stuck and began to take form with the focus to be on voting rights, the reason why the activists where in Selma in the first place. On March 7, 1965 about 600 marchers, lead by (now congressman) John Lewis, set out from Selma to march to Montgomery. The first thing they had do was to cross the Edmund Pettus Bridge. On the far side of the bridge waiting for them was a wall of state troopers set upon breaking up the march (in compliance with orders from Governor Wallace). 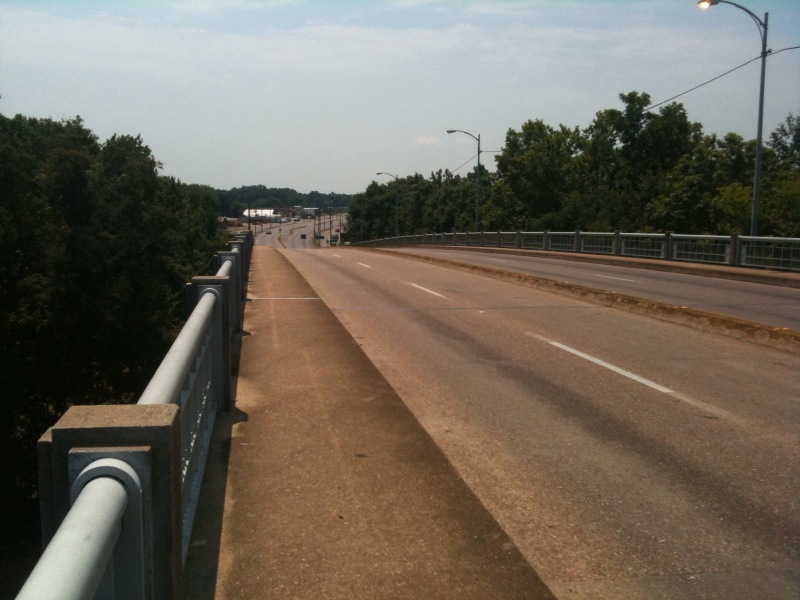 The troopers set upon the protesters with clubs and tear gas, pursuing the fleeing marchers back up the bridge. Many of the troopers were on horseback and wielding clubs, swinging at the marchers running on foot. Those witnessing the event claimed that the bridge was covered with blood, thus the day is known as "Bloody Sunday." After walking the bridge we got back in the car and followed US 80 to Montgomery following the Historic Trail markers. In the wake of Bloody Sunday King and his supporters sought federal protection for the marchers. On March 16 the protection was granted and on March 21 the marchers set out again. This time, with federal protection, they would get all the way to Montgomery. More, the ranks of marchers had swelled. After Bloody Sunday thousands of people from around the nation descended upon Selma to participate. By the time they reached the steps of the capital in Montgomery the crowd had swelled to over 25,000. You might have to be a member of the Churches of Christ to fully appreciate this picture, but from someone from my faith tradition finding this picture is just priceless. On so many levels. This picture is now the wallpaper for my iPhone. Last stop: Montgomery, Rosa Parks, and the Montgomery Bus Boycott. Many levels, indeed. As you may know, signs such as these were as common as the old Burma Shave signs at the edge of small towns and in rural areas of the South. Many visitors who did come were sucker punched. They were welcomed by the sign and most members and then told they were going to hell by the preacher. Sigh. . . . I remember vividly a weekend trip of the Aggies for Christ to one of the Churches of Christ in the Beaumont/Port Arthur area, which qualifies easily as Deep South. Probably 25 years ago, plus or minus. I was to preach that Sunday, so naturally they put me and some friends up at the preacher's house. In their car on the way from church to lunch, the preacher was telling us about "dem n*****s." I could not believe my ears. A "priceless" picture, indeed, if irony is precious. Thank you so much for this series of posts. I was in high school in central Texas, 60-64. I hate to admit I was so ignorant of what was going on with these civil rights advocates. I am ashamed that I have never taken the time to read fully about this story. It gives me such an appreciation for what Rev. King and all the rest of the participants went through to obtain what was rightfully theirs.My heart ached as I read the story.I thank you again for bringing this series to all of us. Yes, on one level there is a sad irony. But on a different level I'm reading it hopefully: An ideal for my faith tradition to live up to. When I look at the picture I ask: "Will the Churches of Christ welcome the 'least of these' in my time and place?" The picture, a failure in the past, is a wonderful call and vision for the present and the future.